Combines elegant ruffled blooms and a sweet orange blossom fragrance. Near-white standards and apricot-peach falls create an elegant look. FoliageGlaucous-green, sword-like fans of stiff upright leaves is Spring and Summer, with some die-back in Winter in colder climates. ColorNear white standards with apricot-peach falls. BloomsMid spring, reblooms mid summer. Soil RequirementsPrefers well-drained soil, but is tolerant of a wide range of soils. PruningRemove spent flower stems. In late Fall, cut foliage to 6 inch fans. 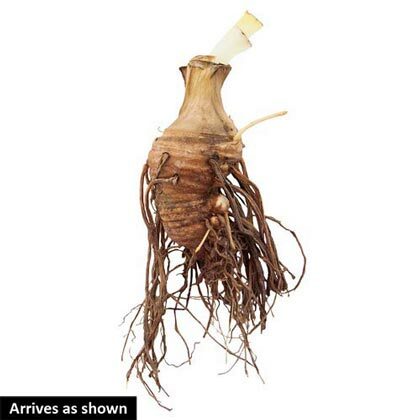 Remove plant debris to prevent borers from over-Wintering. Prune after flowering, and cut foliage back in late Fall. CommentsNear white standards with apricot-peach falls. One of the best rebloomers! Sweet, orange blossom fragrance. So elegant and sophisticated, the subtle colors of this iris add refined beauty to the Spring garden. Near white standards are gracefully arched. The light buff, apricot, and peach colors on the falls softly melt together into a delicate shade. Ruffles dance along the edges of the falls like bubbles in a glass of the finest champagne. Amber beards sit quietly on the falls, blending nicely with the soft colors of these blooms. Enjoy an abundance of beautiful blooms on this vigorous plant that produces 7-10 buds per stem. You may even enjoy more blooms in late Summer, if optimum weather conditions allow it to rebloom. 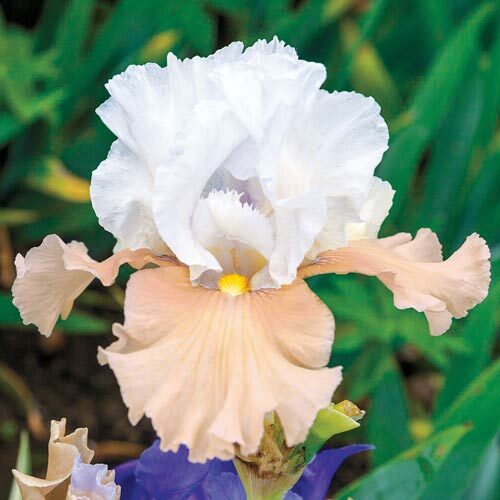 A sweet orange blossom fragrance adds another desirable element to this lovely iris.